With the rapid growth of the Magento ecosystem, Magento commissioned global market research firm IDC to analyze the economic impact of the company, our customers, and our partners to worldwide digital commerce. In the first of a multi-part series, Magento unveils results that show the massive economic impact and influence of merchants using the Magento platform. 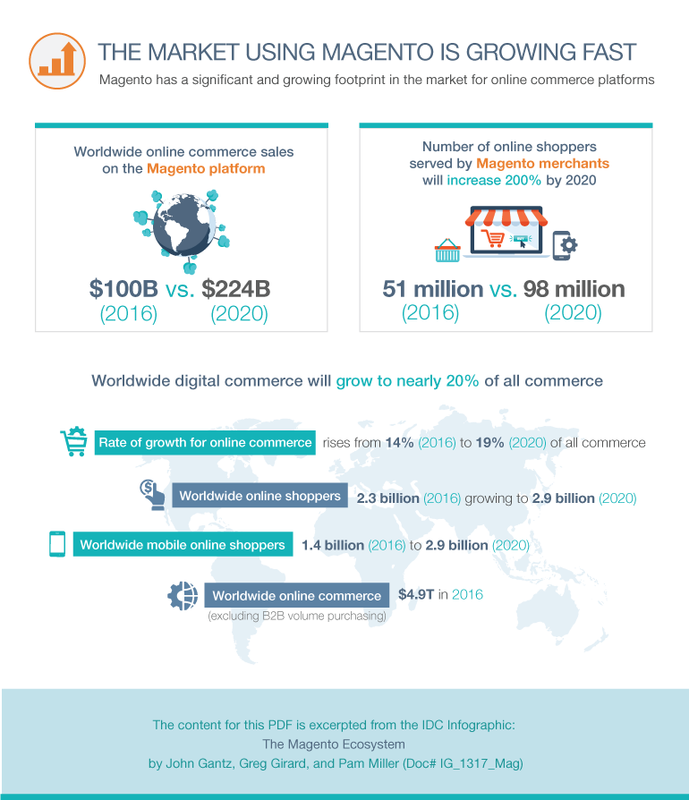 According to the study, merchants will generate more than $224 billion online by 2020, outpacing the growth overall of worldwide digital commerce.